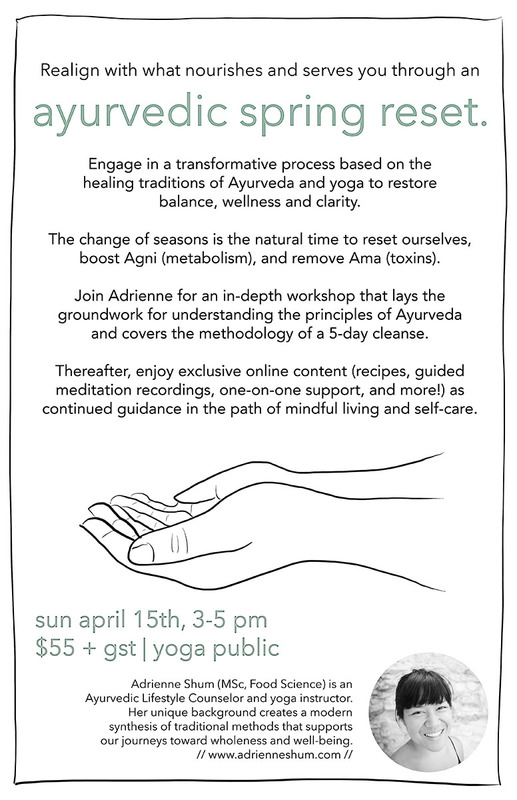 Ayurveda teaches us that spring is the ideal time to reset and renew the body, mind, spirit. 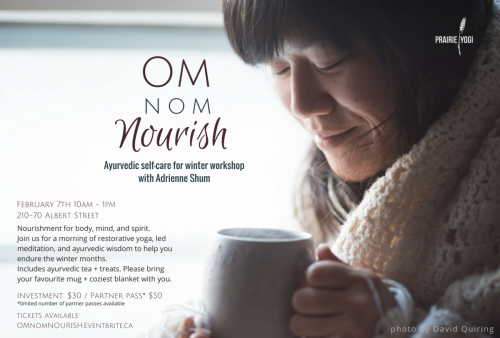 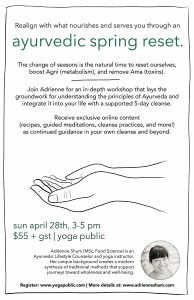 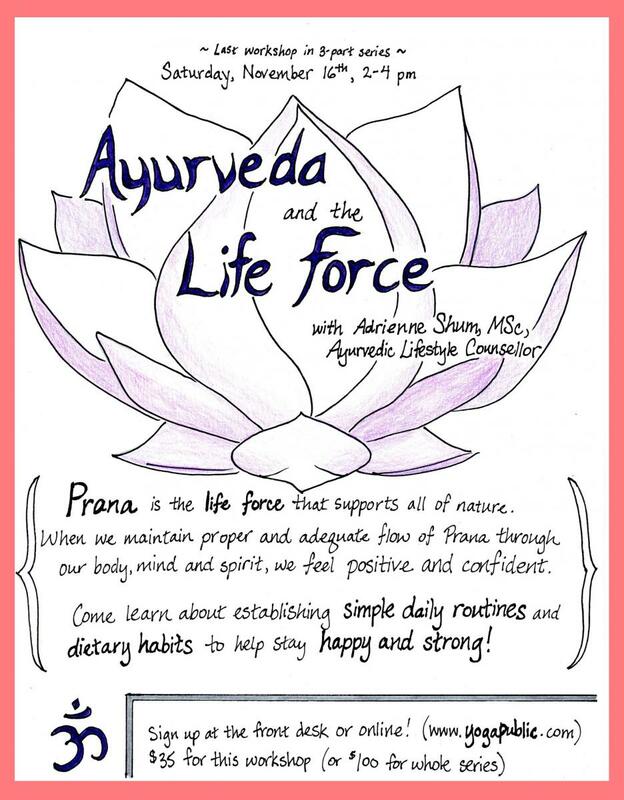 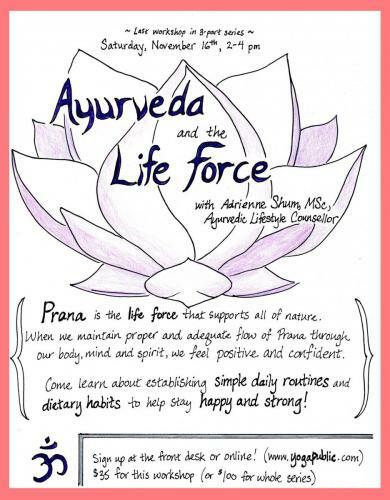 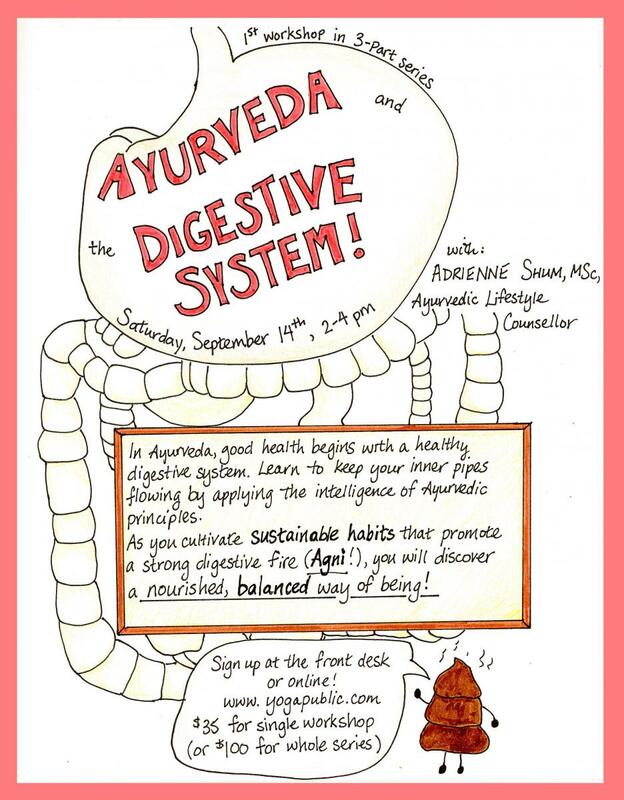 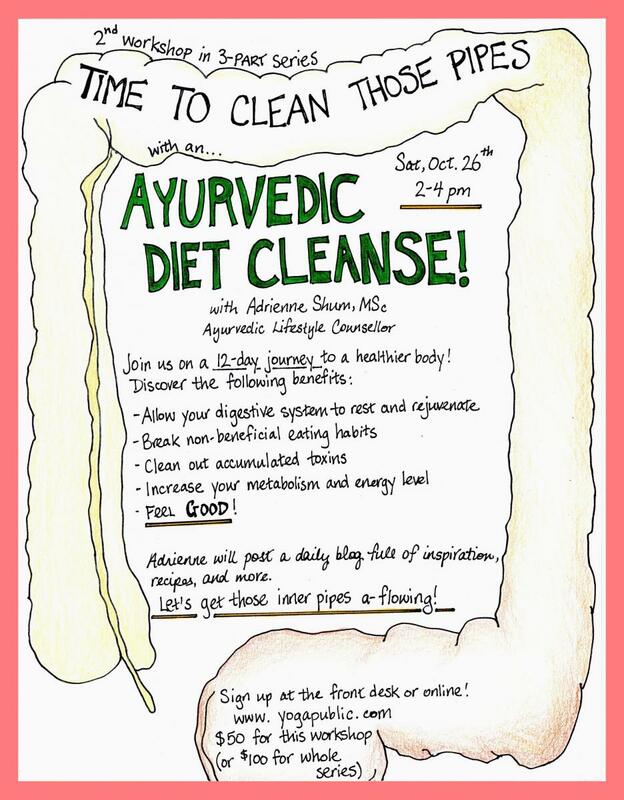 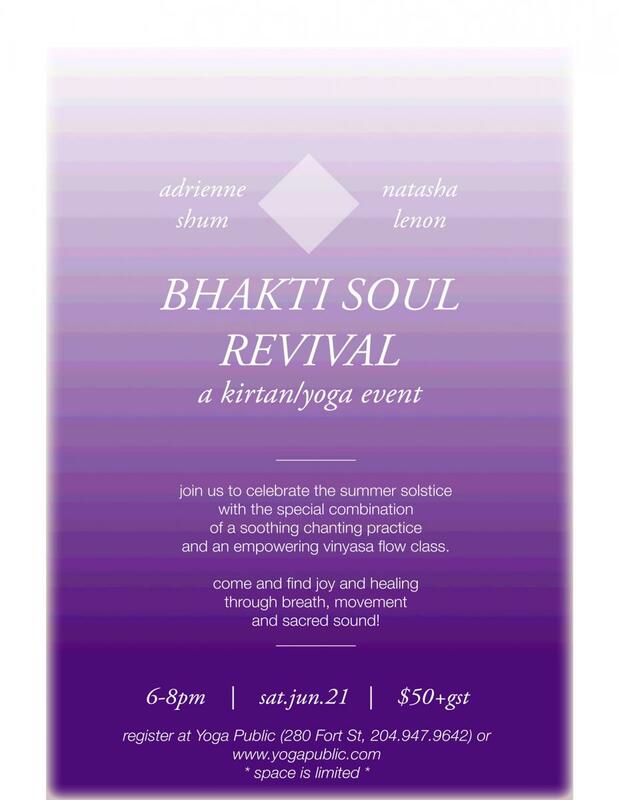 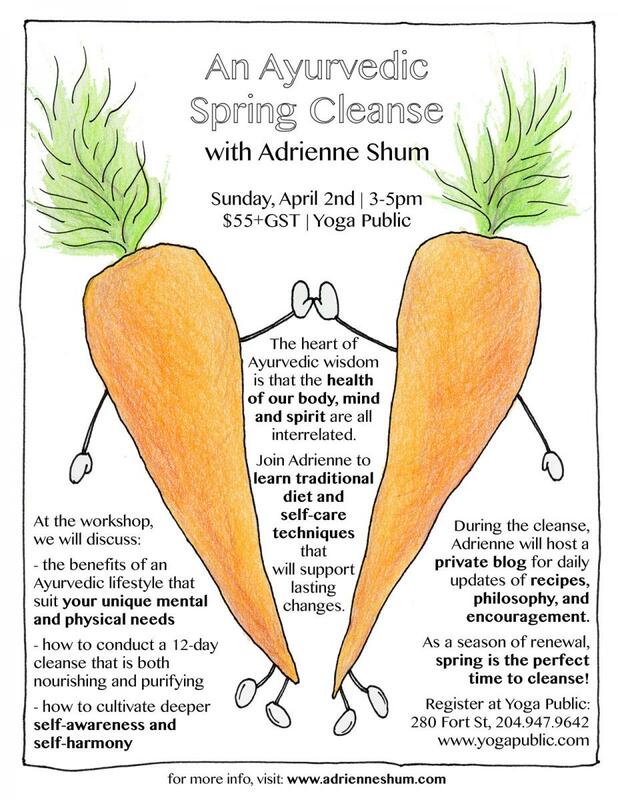 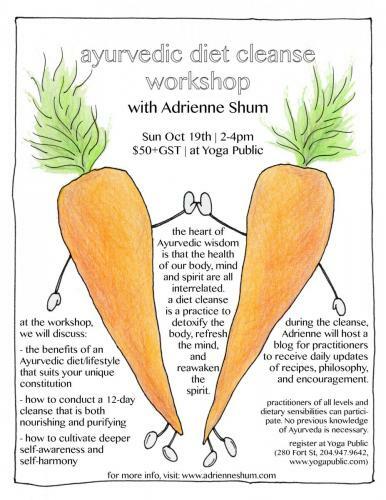 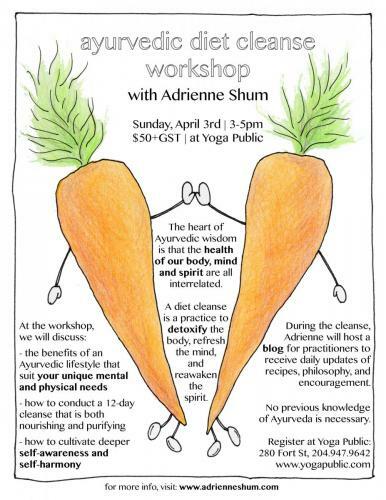 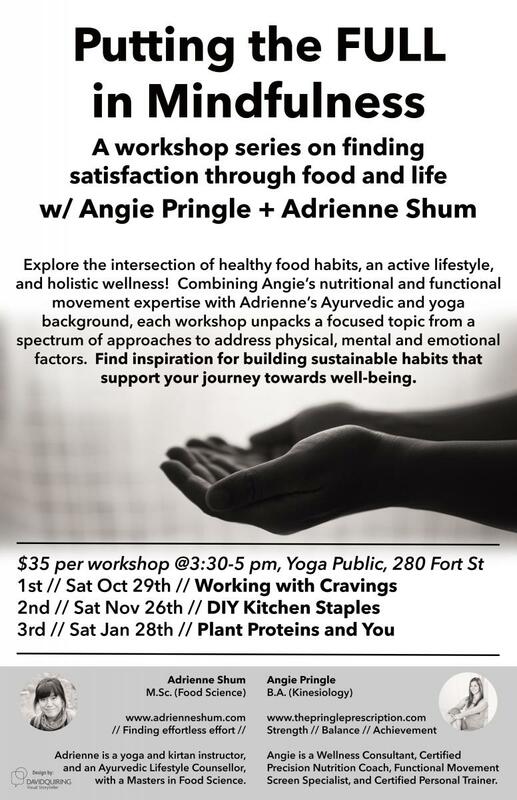 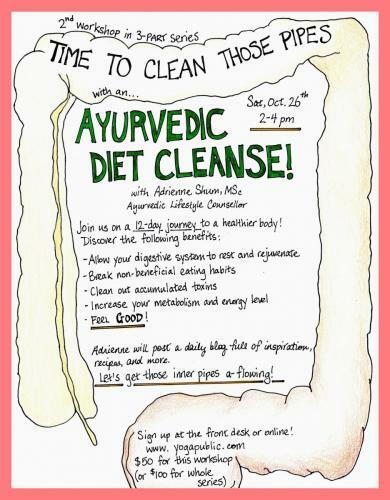 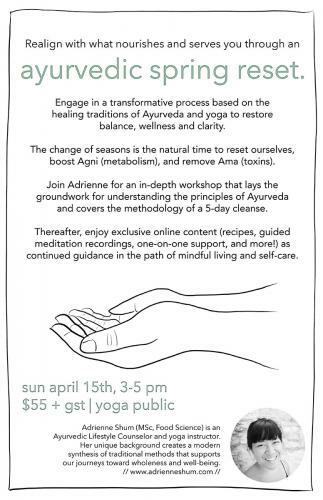 Join Adrienne in delving deep into the fundamentals of Ayurveda and how its time-honoured methods can support a 5-day cleanse of body, mind, and spirit. 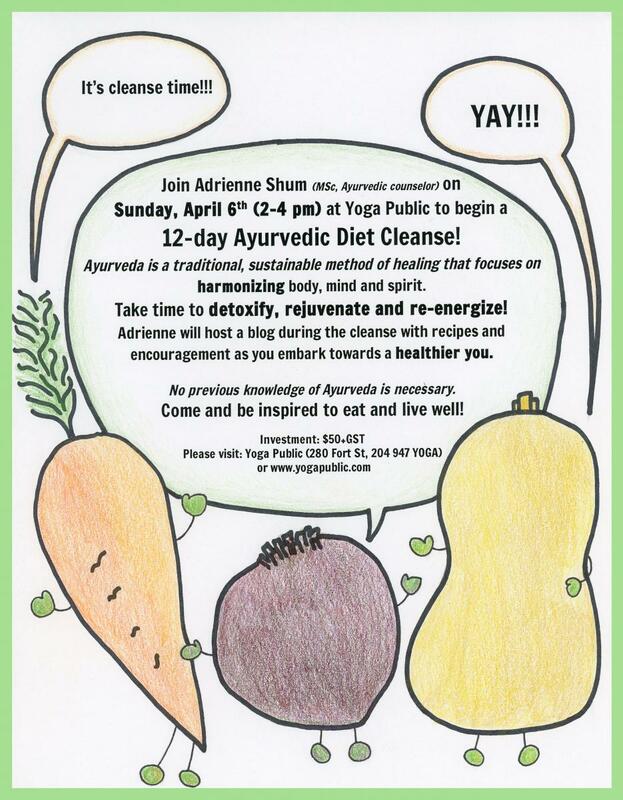 If you have done a cleanse/reset with Adrienne before, note that the content is updated and improved every year! Learn more here. 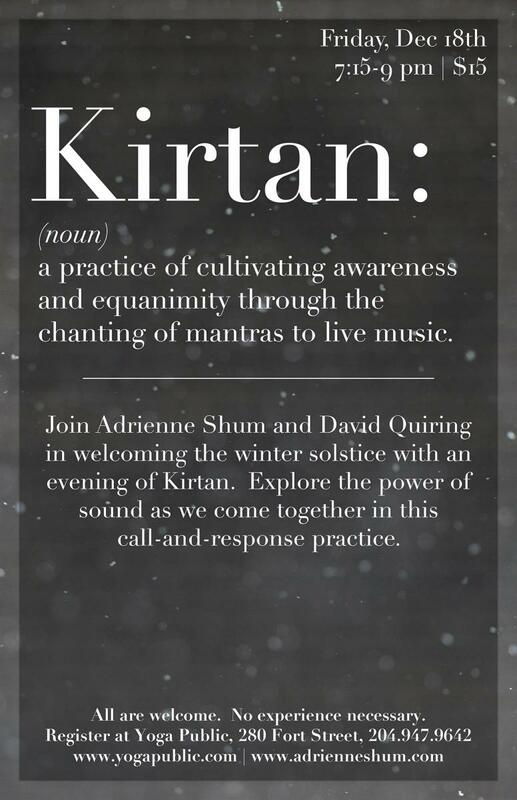 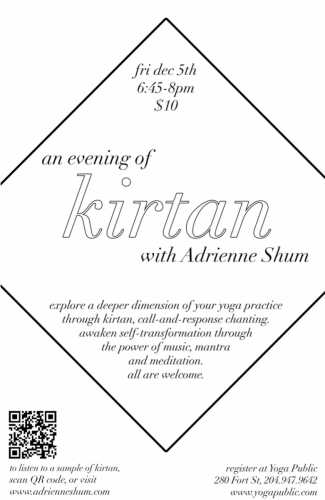 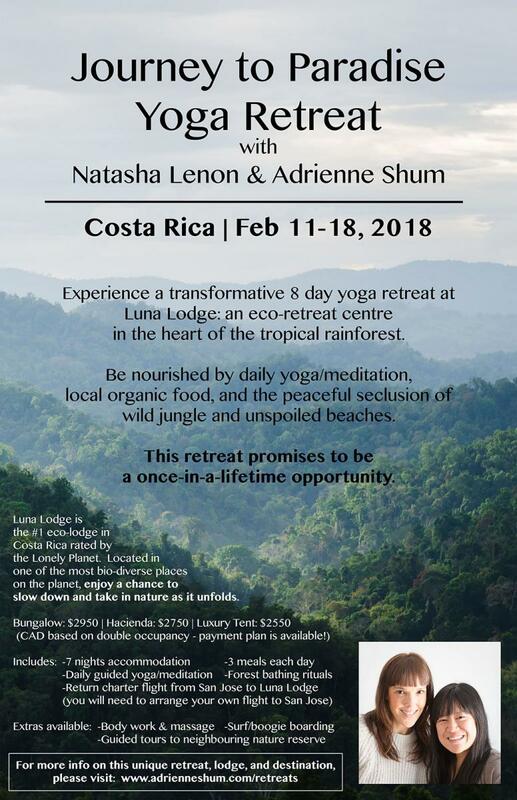 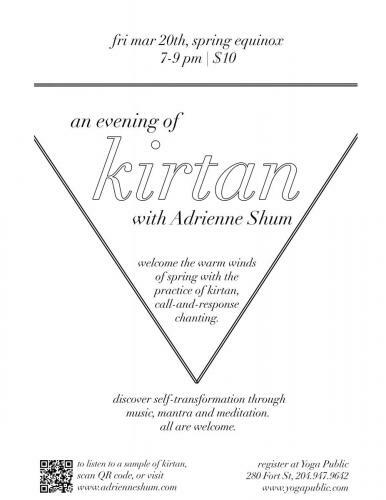 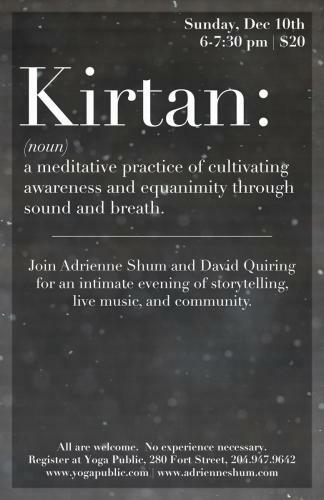 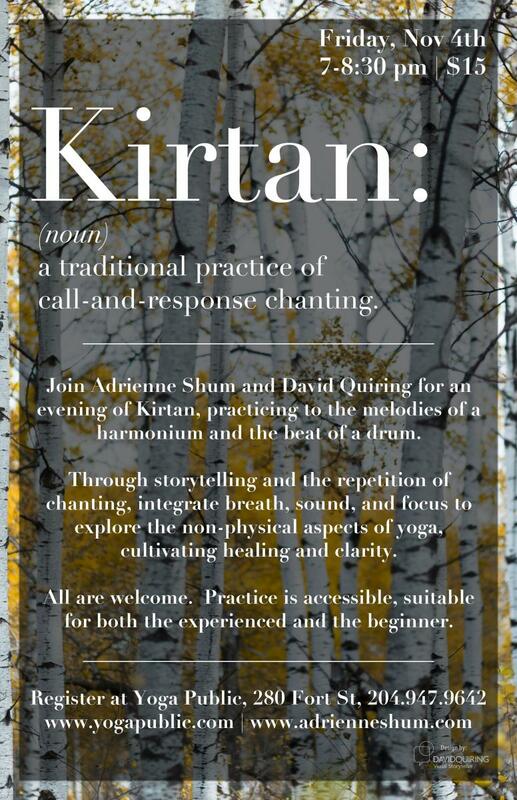 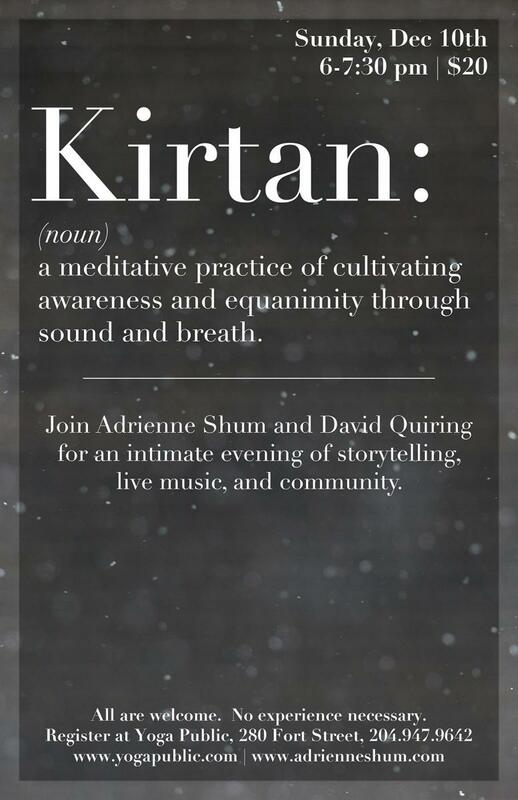 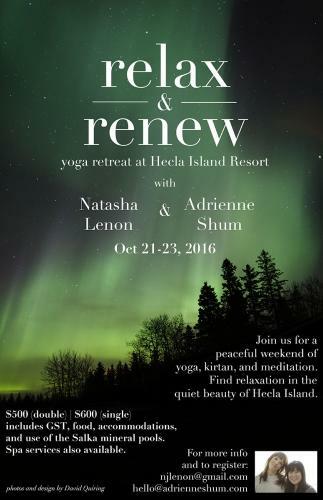 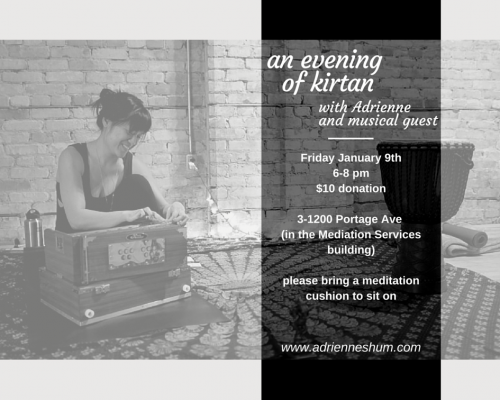 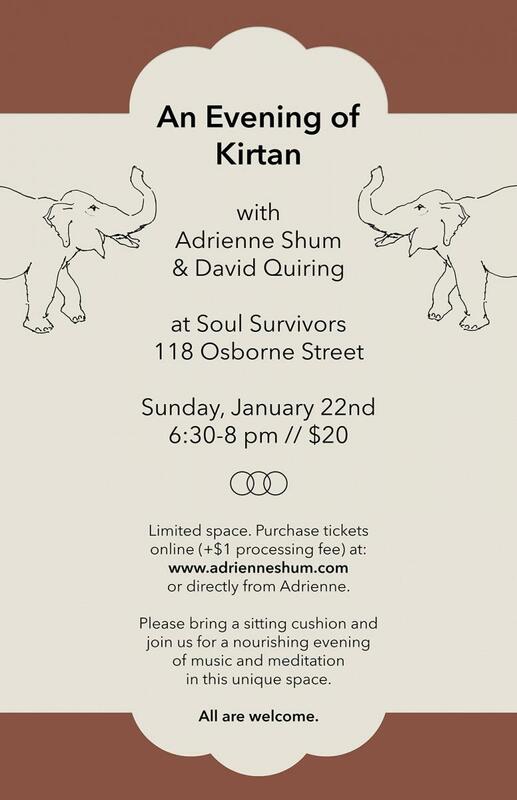 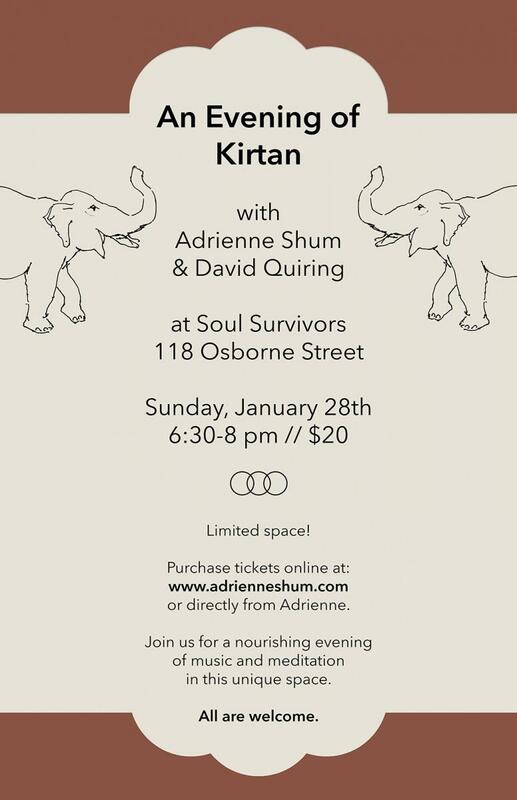 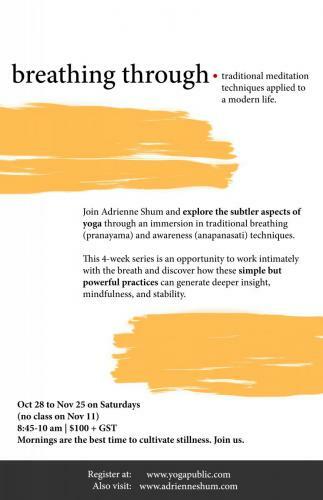 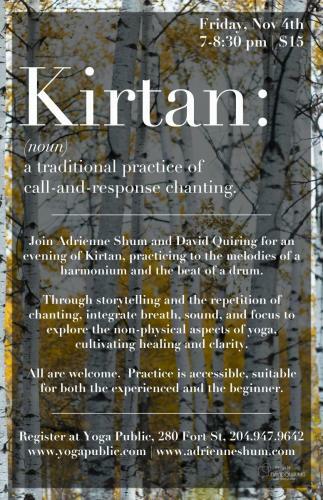 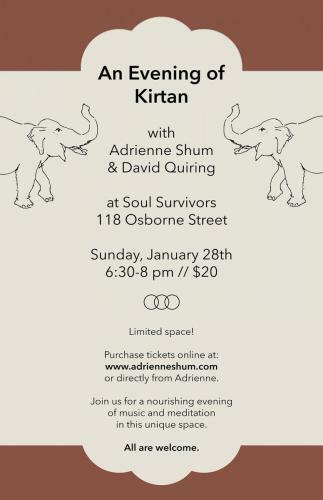 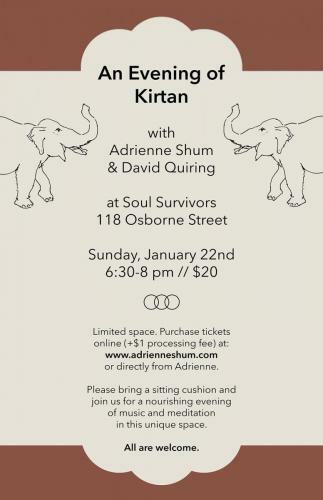 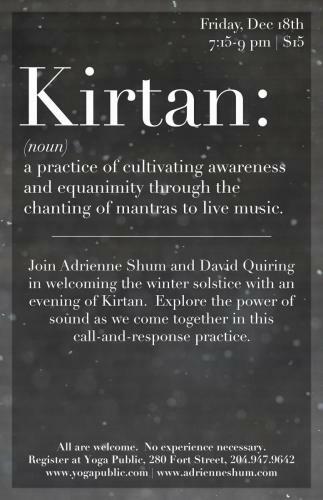 To sign up for Adrienne’s newsletter to be notified about upcoming workshops, Kirtan and retreats, please visit here. 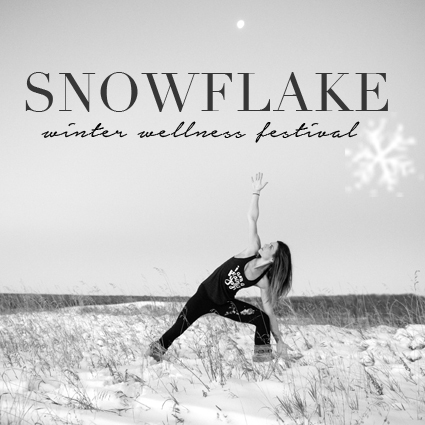 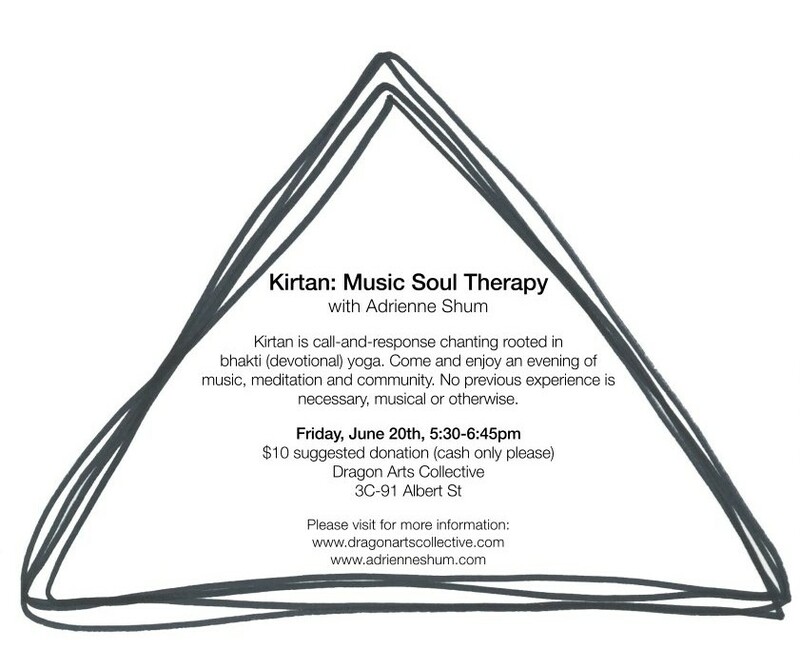 Adrienne teaches yoga as an awareness practice that uses postures (asanas) and breath (pranayama) as tools to discipline and focus the mind. She encourages her students to cultivate an ability to diligently observe the body and breath; through the refinement of this technique, an individual can engage in a process of uncovering themselves and learn to embrace their present experience. Her teaching approach is grounded, earnest, and inquisitive, in the hopes of providing her students with a nurturing environment in which to develop a steady practice. 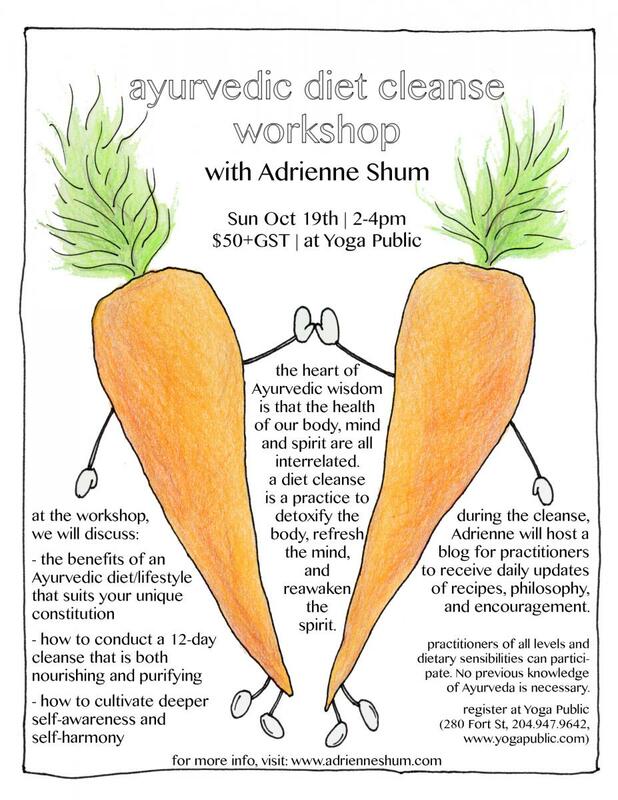 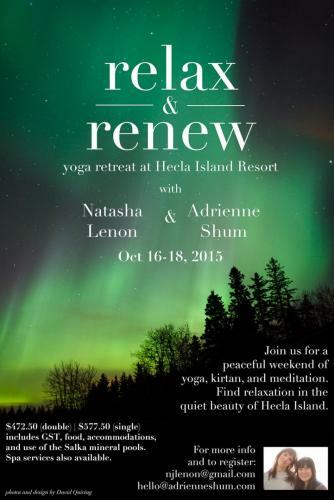 Please visit Yoga Public for Adrienne’s regular class schedule. 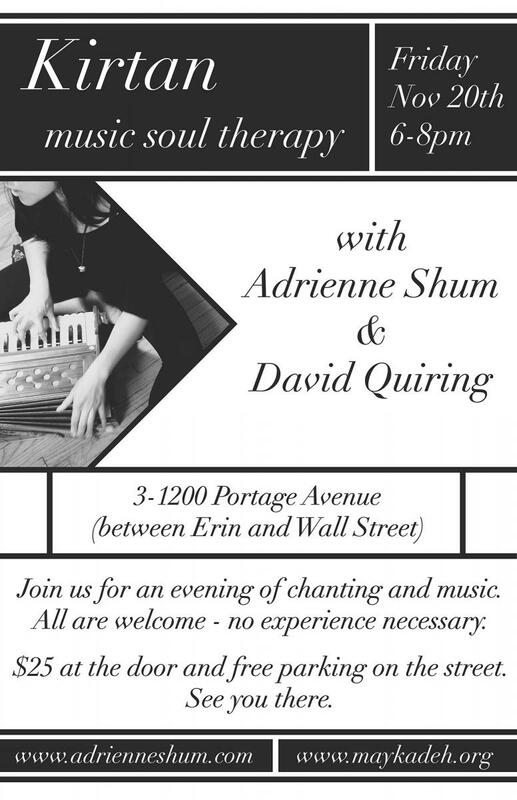 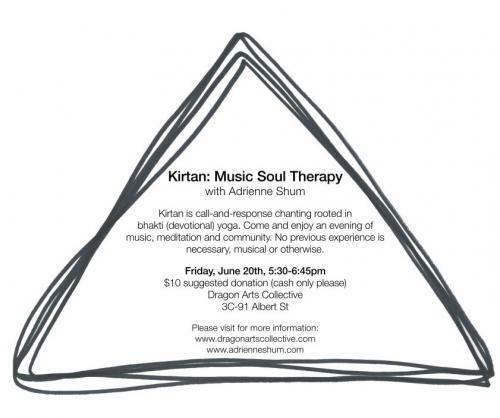 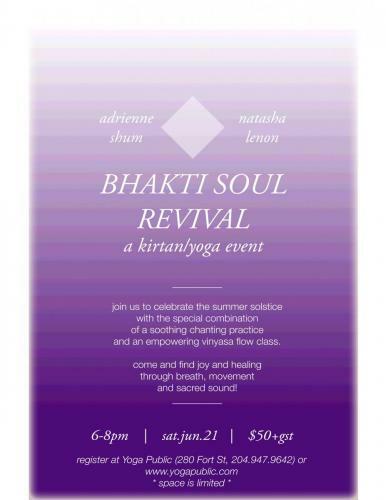 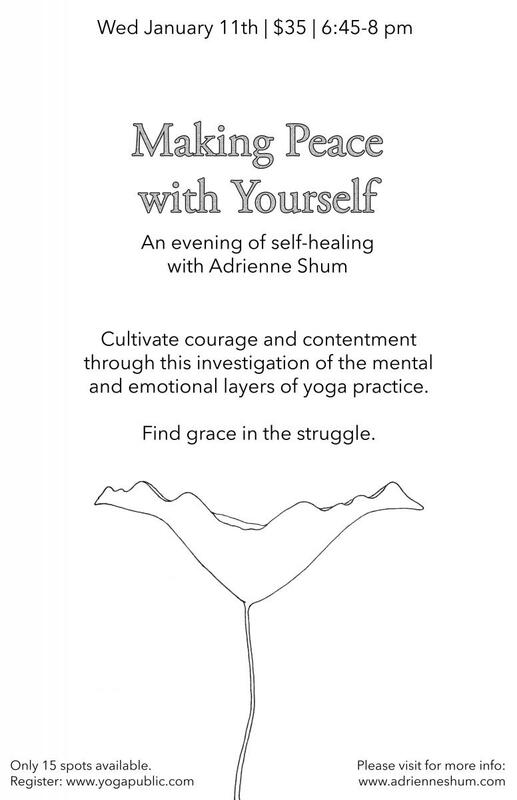 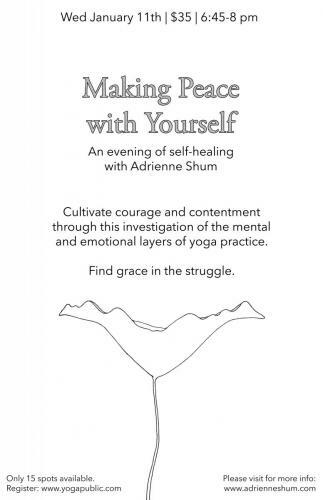 Adrienne also teaches private yoga and meditation classes (one-on-one, group, corporate, special occasion). 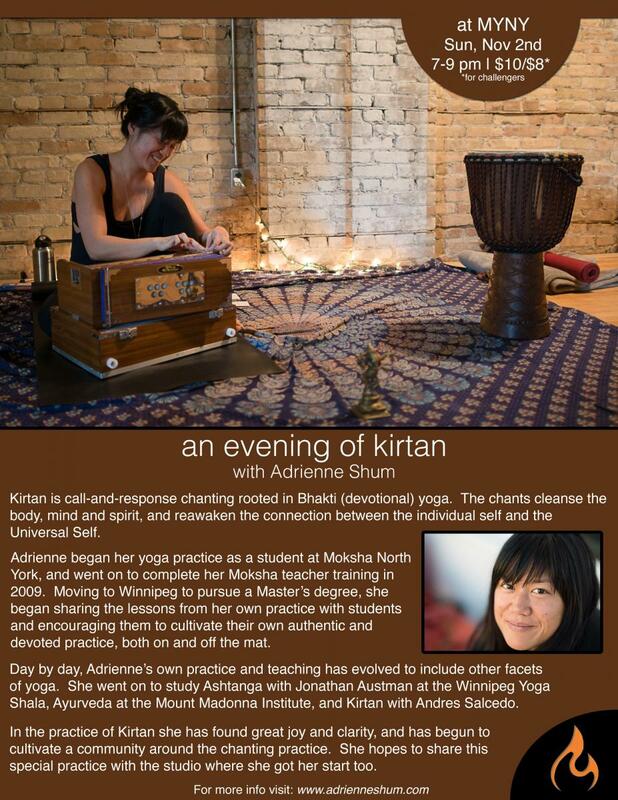 Contact her to inquire about booking classes.